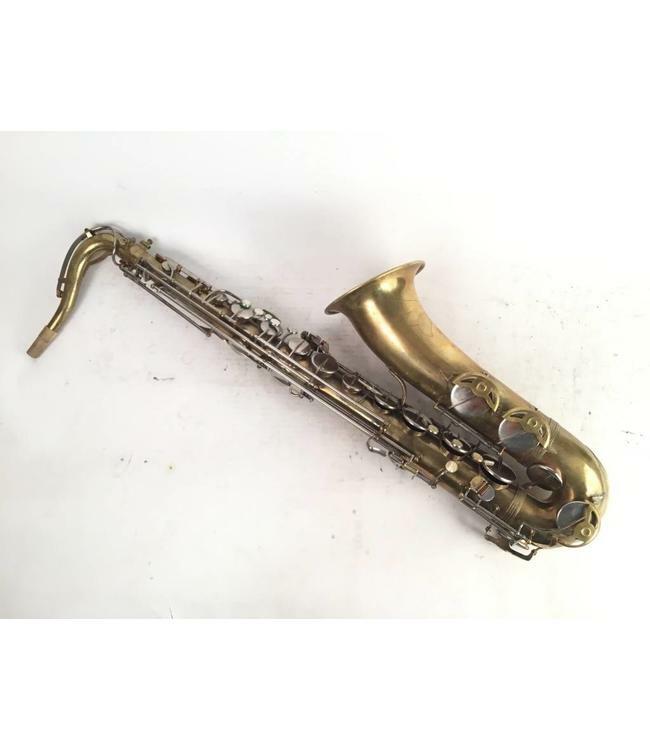 Used Olds Parisian student model tenor saxophone made in France in brass lacquer with nickel-silver plated keys and mother of pearl buttons and rollers. This is a Pierret Paris Stencil Parisian tenor sax, not to be mistaken with the Olds Parisian Ambassador. This sax is stenciled "Parisian / Made in France / Expressly For / F. E. Olds & Son / Los Angeles, Calif.". It is very similar to the Pierret Super Artiste, however the metal that was used on this sax is lighter. Re-padded, adjusted, and regulated.